“I was one of the last of my friends to have a baby. I was getting older and older and thought that my time was running out for a baby,” says Caroline. Although Caroline had suspected that she might have difficulties getting pregnant she and her husband Ari tried for four years before seeking help. Caroline is speaking ahead of Fertility Awareness Week (October 29 to November 4) to encourage others to get advice earlier. Ten years ago Caroline, now aged 40, was diagnosed with a benign tumour on her pituitary gland, which, ironically, mimics some of the symptoms of pregnancy. The condition, called prolactinoma, produces high levels of prolactin in the blood and can affect a woman’s menstruation and cause her to lactate. It can often cause fertility issues. Caroline met Ari at a friend’s wedding when she was 34 and told him early on about her condition and that she might have problems conceiving. “We started trying for a family before we got married but not obsessively,” says Caroline. “Once we were married though we took it more seriously and it all got a bit obsessive with calendar-checking. By the time we went to see the GP to ask for help I was 38. Caroline and Ari went to see their GP and were quite quickly referred for IVF. “We were incredibly lucky because at the time we were eligible for three NHS-funded rounds of IVF but I don’t think that would be the case now,” says Caroline. 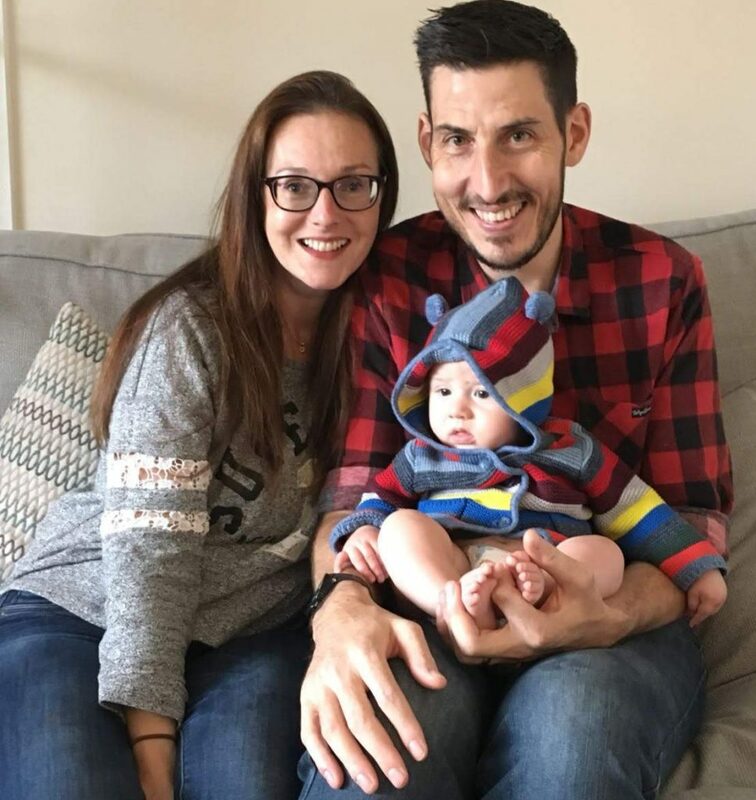 Caroline and Ari had IVF using a process called Intracytoplasmic Sperm Injection (ICSI) which involves individually injecting a sperm in to each of a woman’s harvested eggs in the laboratory before transfer. Caroline, who had to come off her medication for her prolactinoma during the treatment, fell pregnant at the first attempt. Caroline found out she was pregnant when she was 39. Nine months later her son Dylan was born – just one month before her 40th birthday. Now six months old he is the apple of his parents’ eye. “Bourn Hall told us that we had one ‘top-notch’ embryo and that turned out to be Dylan,” says Caroline. “He is a healthy and happy little boy and we are both utterly besotted with him. Bourn Hall Clinic is hosting two free Fertility Fayres during Fertility Awareness Week – one at Wickford on 27th October and the other at Cambridge on 3rd November – to help people, even those just thinking about their future fertility, to gain the advice they need. See more about the Fertility Fayre hosted at Bourn Hall Cambridge here.